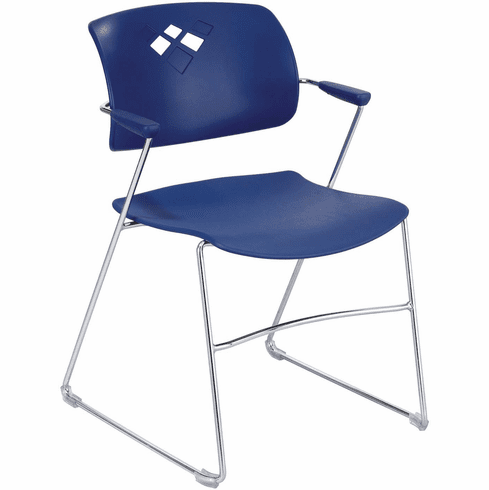 Light and airy, yet sturdy and well constructed, this Safco Veer Flex Back Stack Chair in Blue is the ideal item for large parties, convention rooms, banquet halls, churches and more. It will easily and conveniently stack up to 15 high on the floor but can be stacked up to 28 high on a stacking chair cart! It features a back that arches with the body's natural curves for excellent lumbar and back support. It also has non marring floor glides. Available option is the stacking cart.